I LOVE ZOOS!!! That’s why I was astounded that I had never been to the Maryland Zoo in Baltimore. How is that even possible?? Anyway, that’s not the case any more! Parking at the zoo is free and we used our reciprocal membership (read more about that here #11) to get 50% off admission pricing. Woot! The entrance set up at this zoo is a bit bizarre. The ticket counters are actually quite a ways from the actual zoo entrance so they provide a tram (not super stroller friendly) to get you there or you can walk. I believe that has to do with routing around an older section of the zoo that is now closed as we passed by several old fashioned enclosures on our trek to the entrance. 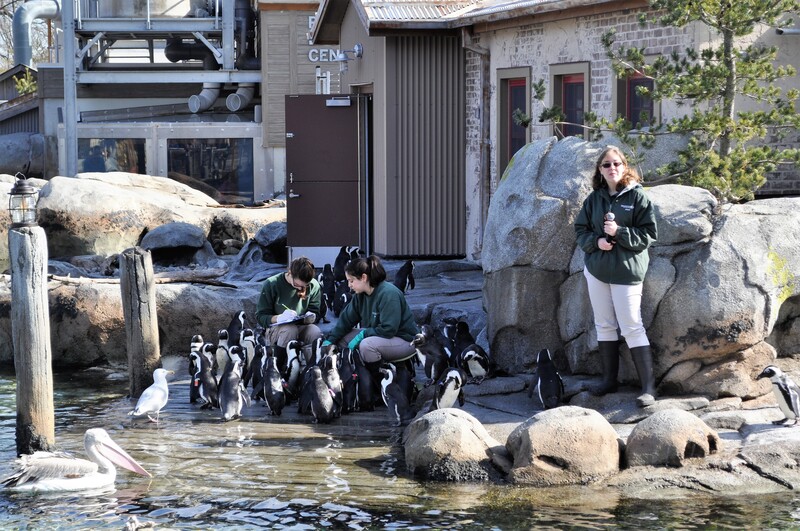 Just as we arrived, the penguin keepers were doing a feeding and presentation where we learned that they actually keep track of how much they feed each one of the penguins on a clipboard. They identify each individual bird using ID tags on their wings. You can tell which penguins are males and which are females based on which wing the tag is on. Because we visited during the Winter, some of the more tropical animals were off exhibit but there was still plenty to see. Our favorites were the polar bear, giraffes, rhinos and chimpanzees. O had fun getting super up close and personal with a chimp that actually seemed like it was interacting with him! 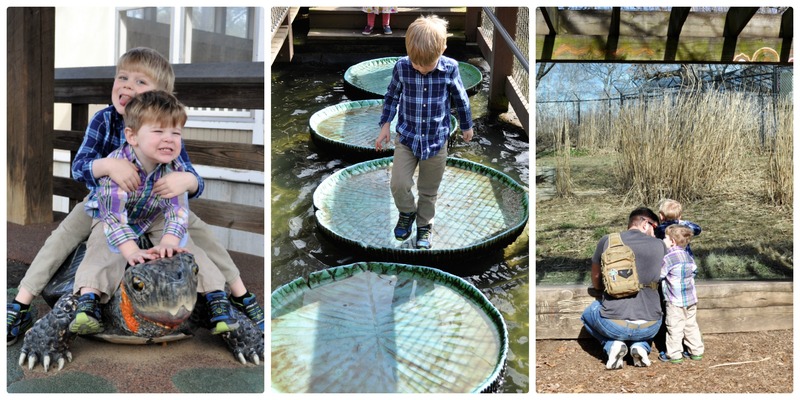 After winding our way through the main zoo, we headed to the children’s zoo which features interactive exhibits like human sized bird nests and a lily pad crossing. 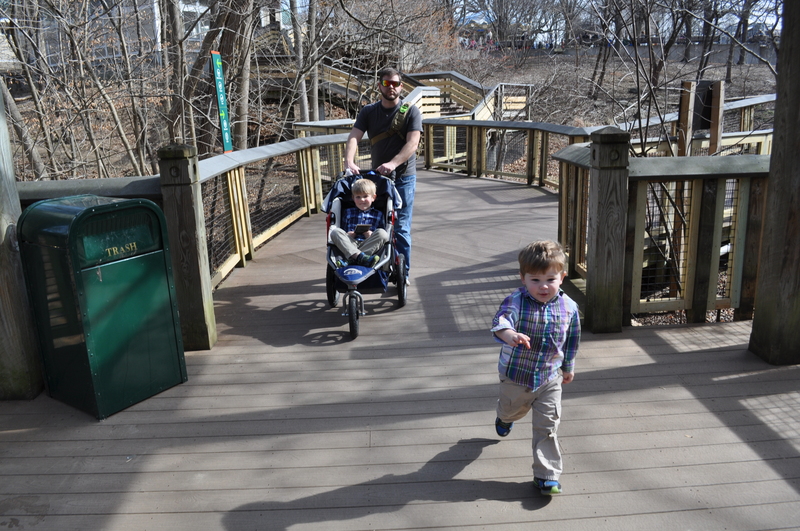 We made a really risky decision to skip nap the day we visited, so by the time we got to the children’s zoo the boys were taking turns having meltdowns. We decided it would be best to skidaddle on out of there as fast as our aching feet would take us before they made too big of a scene. Unfortunately, we didn’t make it to the farmyard petting zoo area or the train on this visit, but I know they would have loved it and your kids will too!